Sugar Fix Dental Loft is kicking off 2017 with a bang! We jumped in feet first on our first day back, January 6th. We started with the rehabilitation of a patient’s upper teeth. Our patient’s dream of a beautiful smile became a reality with Dr. Jessica Emery. We were also able to complete same-day-dentistry on one of our long-distance patients who was flying back to New York the following day. It was a busy day with amazing results and we ended it with a team celebration at our neighbors to the north, Frasca, with a glass of wine and pizza! Our first full week back has been just as great! Dr. Emery has placed multiple same day Cerec crowns. We always strive to offer same day crowns whenever possible to ease the busy schedules of our patients. Dr. Emery and her team has also started multiple accelerated Invisalign cases using Propel. Our hygiene department has kicked off the year with a packed schedule. If you are due for your dental cleaning, do not wait too long to schedule. Our early 2017 opportunities are limited and going fast! Don’t forget to refer your friends and family. 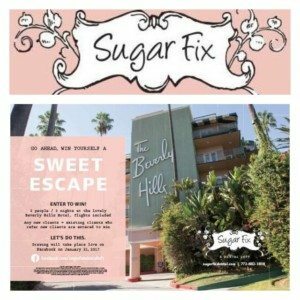 The Sweet Escape campaign is ending soon! Every patient referred gets their name in the drawing, as well as the current patient who referred them, for a trip for two to The Beverly Hills Hotel! Have you ever heard of Moonfish? Well, let me tell you about it! Moonfish is a fabulous pop-up shop that’s focus is all fashion, bring to you the latest and greatest in clothing and accessories! We had a visit from their team this week. We could not be more pumped for us to host them for a pop-up even in March. Stay tuned for more details! 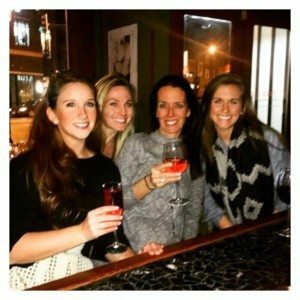 Dr. Jessica Emery and the Sugar Fix Team are thrilled to start off 2017 on the right foot with positive vibes and exciting plans! Join us in making 2017 the best year every!